Just a quick one from me this Sunday, as I am hopefully soaking up the sun (or more likely pouring rain!) in Whitby with my better half. Awwww! 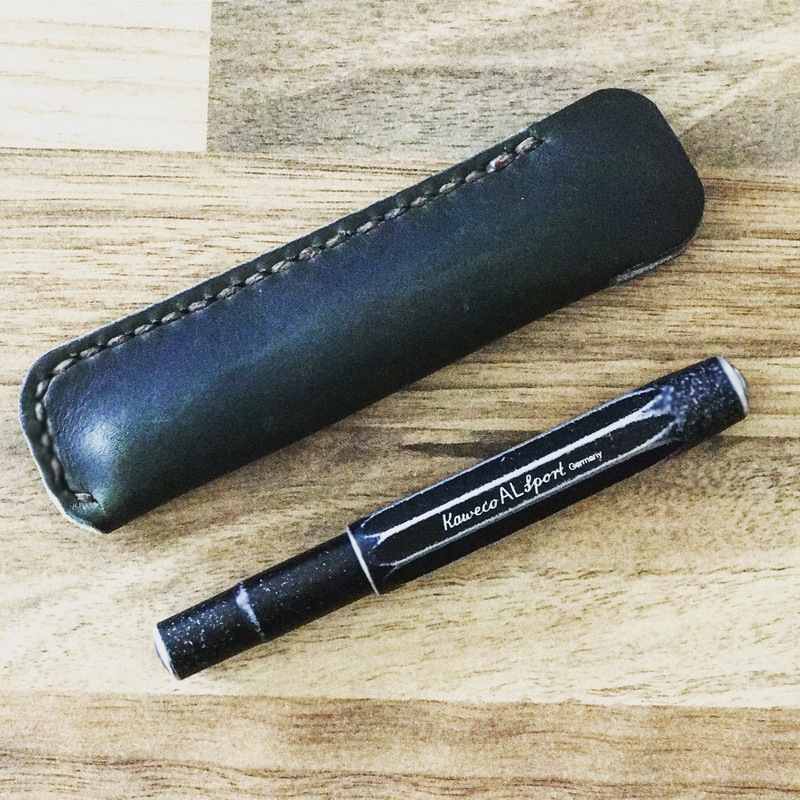 This week’s Top of the Pen Pots is a quick run down of my travel set up/carry/EDC or whatever the cool thing to say is to describe ‘stuff I wang in a bag to take with me’. If you’ve seen my Instagram story, these items won’t be a surprise to you ;). I hated my first Kaweco Classic Sport. It had a medium nib with severe baby’s bottom, it leaked and it was brown. It was literally and figuratively, a huge turd. BUT, I’m in MAD love with the Kaweco AL Stonewashed Black Sport. It looks MEGA and I’m not afraid to toss it around as it adds to the look. The fine nib is surprisingly smooth and a joy to write with. And the mini converter isn’t as hopeless as I first thought. Add a One Star Leather cover – because I don’t want it completely screwed with scratches, I’m still a girl – and we have the perfect travel companion. 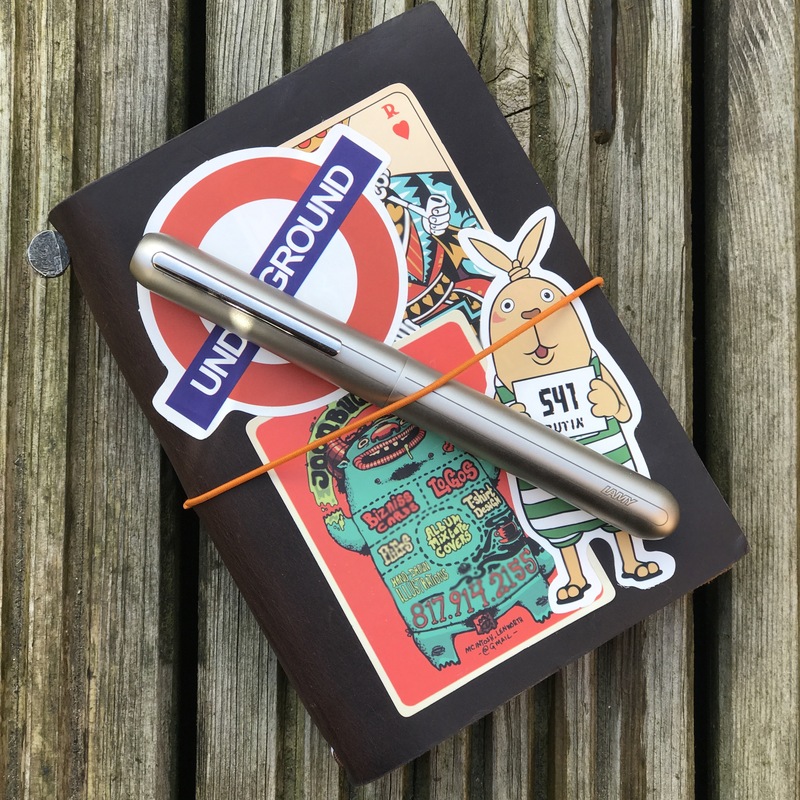 Fresh re-entry at Number 2: Makers South Pocket Notebook Cover with latest notebooks on test! I’ve had this leather pocket notebook cover for a few years now, back when Makers South were just humble Chrispian and Erin making cool stuff and posting it on Instagram. It has dings and scuffs and the elastic is losing its twang, but it has been with me through the most challenging year of my life *cue violins*. A lot of swear words have been written in it, and it has probably mopped up a few tears too. So I’m loathed to part with it, as it is a familiar friend as well as a useful, inanimate object. For my trip away, it’s housing the latest notebooks in my search for the perfect, fountain pen friendly pocket pad: Clairefontaine 1954 Retro; Moleskine Cahier in pastel pink; and a Whitelines. Keep your eyes peeled for a new post on that soon! There’s huge hype around this book. It’s justified. 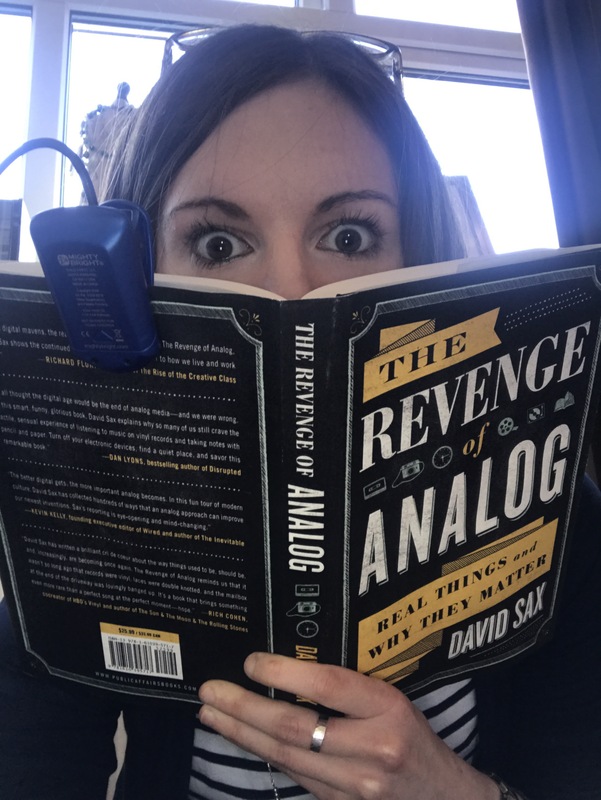 Mr Sax has hit on the zeitgeist of the recent resurgence of all things analog, from vinyl records to board games (my other brand of geekery). He writes with clarity and humour, and I’m about halfway through after a few days of owning it. What items are you stuffing in your sacks for a weekend away?! This blog (you) are absolutely fantastic. I really don’t need any more “fountain pen intel’ but I clearly require your analysis and narrative to carry on! Naaaaawww! Thanks Stacy! That’s so sweet of you 😘! So glad you enjoy reading, makes it all worthwhile.